Few people have heard the phrase “muniment of title,” let alone know what it means. But you should. This in-Texas-only legal procedure can make probate simpler, faster, and less expensive if you qualify for it. 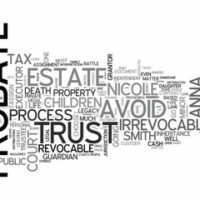 Read on for more information about probating a will by muniment of title, and if you’ve recently lost a family member, speak with an experienced Texas estate planning attorney to ensure you handle the probate process in the best way possible. You must have a valid will. The court must recognize the will as the deceased person’s last will and testament and certify a copy of the will, which will be used to transfer title of property to those listed in the will. Probating a will by muniment of title is not possible if the deceased died intestate (without a will), because then the court will need to determine heirship and pass property accordingly. Your estate planning attorney can make the will self-proving when it is drafted to speed up the process of having the will accepted in probate. Second, a muniment of title may only be used if the deceased had no unpaid debts, unless the debts are secured by real estate. With outstanding debt, an administrator is necessary to file an inventory of assets, send notice to creditors, and settle the estate. Finally, some bank accounts make muniment of title impractical if they do not have pay on death or right of survivorship designations. Likewise, brokerage accounts without beneficiary designations can be problematic for probating a will by muniment of title. This is because national banks and brokerage firms won’t necessarily follow Texas state law, thus requiring estate administration. If you’ve recently lost a family member and you’re facing the probate process, or if you think muniment of title may be available to you, please contact Meineke Law Firm for more information. Handling probate right from the start can save you time, money, and stress, and we’re here to set you on course. Our Texas estate planning and probate lawyers serve clients throughout Houston and Harris County.